This study aimed to investigate the effect of AMPK on apoptosis and energy metabolism of gastric smooth muscle cells in diabetic rats and to explore the role of AMPK in the pathogenesis of diabetic gastroparesis (DGP). After establishment of a diabetic rat model, rats were divided into normal control (NC), 4-week (DM4W), 6-week (DM6W), and 8-week (DM8W) diabetic model groups. The gastric residual pigment ratio, intestinal transit rate, and intestinal propulsion rate in each group were detected to confirm the successful establishment of the DGP model. The spontaneous contraction in isolated gastric smooth muscle strips of the NC and DM8W groups was experimentally observed. The expression of phospho-AMPK, AMPK, phospho-LKB1, LKB1, phospho-TAK1, TAK1, and CaMMKβ in rat gastric smooth muscle tissues was detected by western blot analysis; ADP, AMP, ATP contents, and the energy charge were detected using Elisa; and apoptosis of gastric smooth muscle cells was detected by flow cytometry. The rat gastric smooth muscle cells were cultured in vitro, and treated with an AMPK inhibitor and an agonist. At 24 and 48 h, the effects of AMPK on apoptosis and energy metabolism of gastric smooth muscle cells were observed. Reduced spontaneous contractions, AMPK activation, cell apoptosis, and energy metabolism disorders were observed in gastric smooth muscle tissues of a diabetic rat, and AMPK activation was associated with an increased ratio of ADP/ATP, AMP/ATP, LKB1 activity, and CaMMKβ expression. From in vitro cell culture experiments, we found that AMPK activation of high-glucose conditions promoted cell apoptosis. Inhibition of AMPK had no obvious effect on apoptosis at the early stage with high glucose, but the inhibitory effect was significant at the late stage with high glucose. AMPK can regulate both mitochondrial metabolism and glycolysis pathways under high-glucose conditions. During the early stage with high glucose, AMPK was the main promotion factor of the mitochondrial metabolism pathway, but did not increase the ATP production, AMPK also promoted the glycolysis pathway. During the late stage with high glucose, AMPK was a major inhibitor of the mitochondrial pathway, and still played a role in promoting the glycolytic pathway, which acted as the main regulator. Apoptosis and energy metabolism disorders were present in gastric smooth muscle cells during the occurrence of DGP. Under high-glucose condition, AMPK was activated, which can promote apoptosis, change the energetic metabolism pathway of cells, inhibit mitochondrial energy metabolism, and promote glycolysis. This study was financially supported by grants of the National Natural Science Foundation of China (No. 81560142). Fang, X. S., Zhang, M. H., Guo, J. Y., Jin, Z. (2018). Effects of insulin-like growth factor-1 on endoplasmic reticulum stress and autophagy in ratgastric smooth muscle cells cultured at different glucose concentrations in vitro. 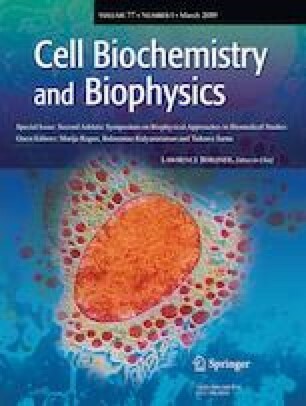 Molecular and Cell Biochemistry. https://doi.org/10.1007/s11010-018-3388-7.